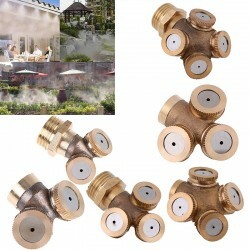 Sprinklers There are 13 products. 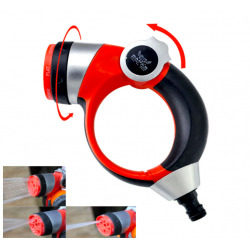 Garden water sprinkler with nozzle. 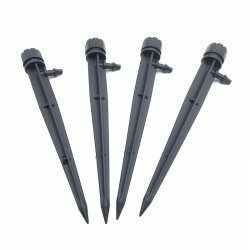 For: lawn, planting trees, flowerbeds, garden. Material: plastic, aluminium alloy. Number of holes: 15 Water spray diameter: 8-10m. Water pressure requirements: 4-5kg. 4 spray modes: left, right, double, center. 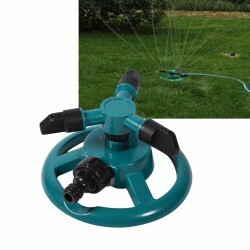 Size: ~ 45.5 * 16.4 * 4cm/ 17.91 * 6.46 * 1.57"
Adjustable garden sprinkler. Material: brass. Color: gold. Please select a type. 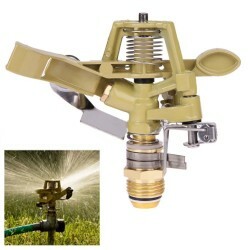 Rotating water sprinkler Adjustable angle, control in 15° - 360° Connector: 1/2 inch Material: metal, copper. Pressure: 0.2 - 0.4Mpa Flow: 0.5 - 1.3m3/h Range: 8 - 12m. 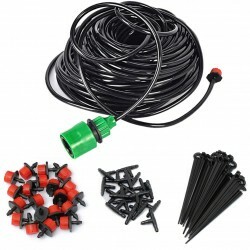 Automatic plant, garden watering system. Please select a length. 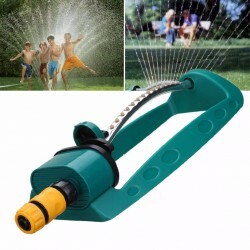 Adjustable garden sprinkler. Great for watering potted plants. 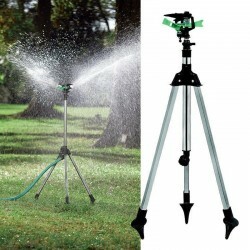 Adjustable flow range: 1-70L/h Working pressure: 1-3kg. Suitable for 4 - 7mm tube. Material: plastic. Quantity: 100 pcs. 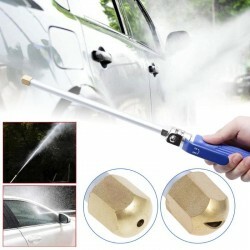 Multifunctional pressure washer spray nozzle. 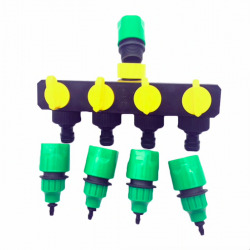 Ideal for garden watering, agricultural irrigating, car washing. Rust, corrosion resistant. 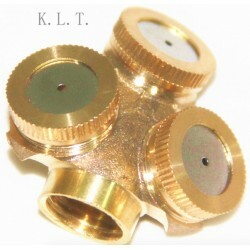 Material: aluminium alloy, copper, TPR. Length: ~ 46.5cm.